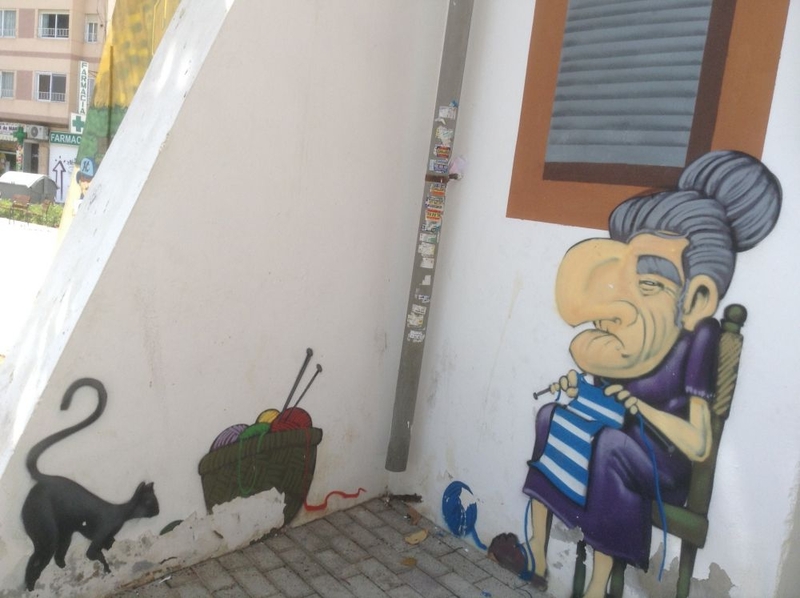 Bristol may have Banksy but Alicante has its own bank of talented street artists bringing colour and fun to the beach city’s streets. Spain is known primarily for sandy beaches and azure coasts but did you know that its culture scene in the form of street art and graffiti is also another big tourist attraction especially for overseas visitors? 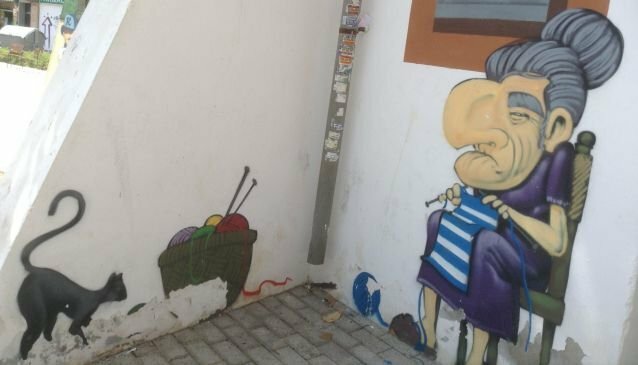 While it is true that Barcelona, Madrid and Valencia exhibit this kind of street art culture on a far grander scale, Alicante is proving to be something of a hidden gem in this respect. When it comes to street style – Alicante – although a small city, certainly has all the soul of its bigger rivals. One only has to wander a little from the hustle and bustle of the port to begin to see the walls come to life with the myriad of personal stories that artists have sprayed over the city concrete. Just beyond the Plaza del Toros is what can only be described as an illustrated shrine to the memory of a beautiful woman, poignantly etched with the words ‘En tu Memoria’ (‘In your Memory’), complete with a candle to hold vigil on the scene. Beneath this modern mural the artist’s street name is proudly printed and one would have to wonder at all the bad publicity graffiti has incurred over the years. 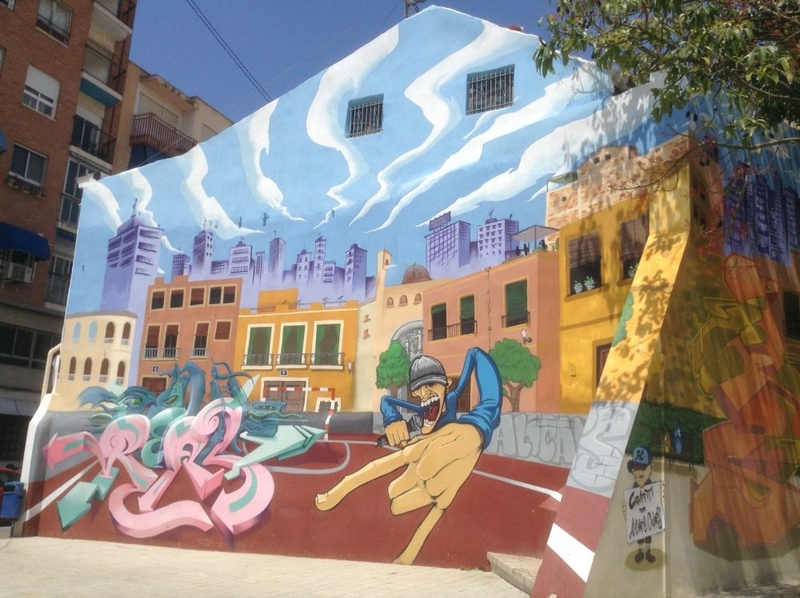 Further on up the street the art gathers pace becoming less sporadic and accumulating in an iconic centrepiece with the large cartooned hand of a singing DJ inviting you to come and enjoy the fiesta revelry of which Alicante has plenty to offer. On the surrounding walls are some more comic book type characters, not least the old grandmother, all at eye level and so offering the unique opportunity for taking holiday snaps with your favourite illustration! 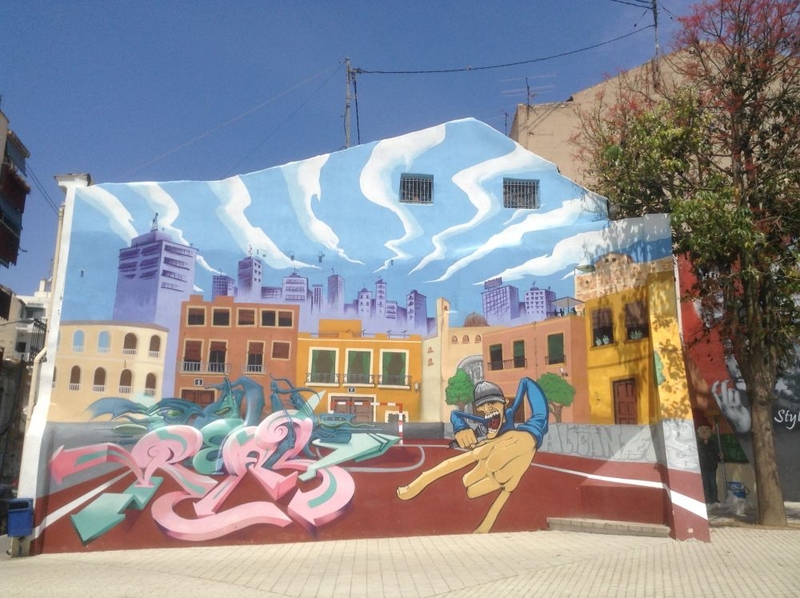 Such is the quality of the art in Alicante that even local businesses have opted for graffiti-themed adverts to showcase their products and services. One example of this is the large ‘Hollywood Icons’ mural promoting a nearby unisex salon. 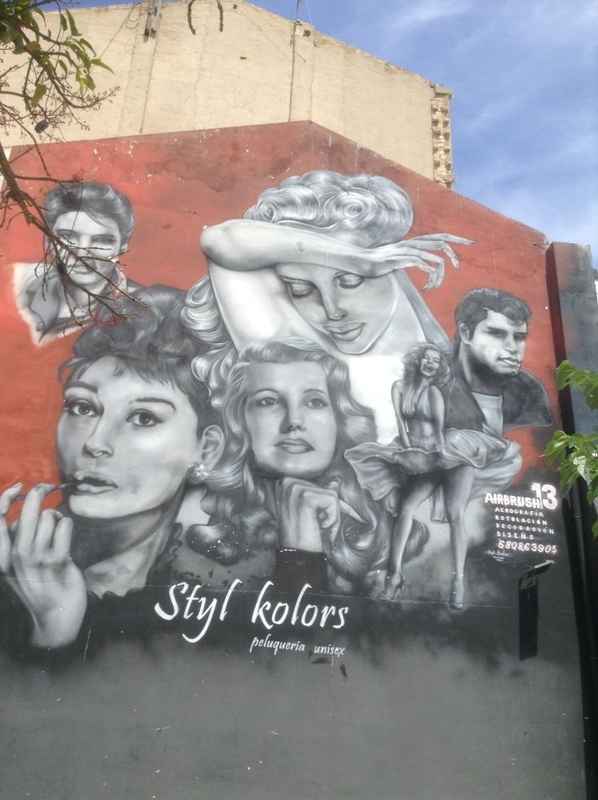 Elvis, Marilyn Monroe, Audrey Hepburn and John Travolta are among the legends who adorn the walls in classic black and white photographic style street art. Indeed the tone of each piece is testament to the skill of the street artists with some paintings – in particular a painting of two girls at a window – reminiscent of something one might well expect to find at an art gallery rather than on a street corner. Hours could be spent pouring over the collection of artworks on display in the warm Alicante sunshine and, with so much artistic variety to offer, a trip around the city and its suburbs is sure to make for a memorable afternoon. For a more personalised experience you may also opt to have your image sketched on the Paseo Explanada de Espana boulevard facing the port by one of the many street artists lining the promenade and so bring home your own piece of the city’s street couture! PS: While in Alicante take a trip to the castle and enjoy a meal out in one of the city's fine restaurants too.